We all know blogging is an important part of online marketing. To succeed online today requires as many landing pages as possible, each ranking for different search terms related to the specific niche your site covers. The problem is a lot of businesses forget that people view marketing content different than other content. A successful blogging initiative has to provide valuable information and eye-catching visual content without coming off as pushy and salesy. Blogs are at the top of the sales funnel, so there’s no real need to push direct sales from them. They’re meant to serve as an introduction to the customer, an entry point or landing page. Directly asking for a sale in a blog post is like going on a first date and…well…you know what I’m trying to say. Although you may eventually find success, there are much more efficient ways of obtaining quality leads. This post is meant to serve as a guide to creating compelling, valuable blog content that will increase your sales without the need of asking. The main purpose of a blogging initiative is to generate traffic, which are leads that can be converted into customers. 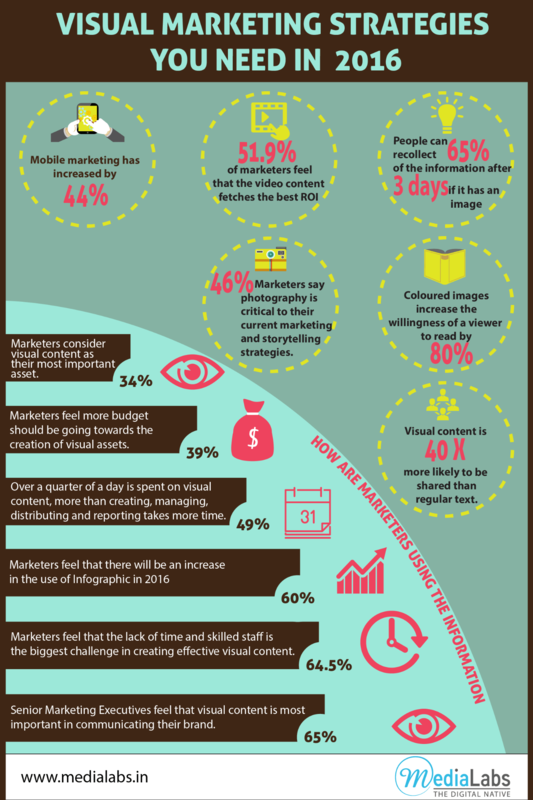 Visual content (images, videos, infographics, etc.) is much more easily digestible to readers and therefore draws more leads to your landing pages. Recent research found color graphics increase the likelihood of content being read by 80 percent. Not any graphics will do, however. Using Shutterstock and other image resources can quickly get redundant. 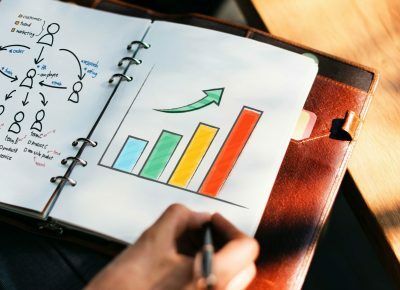 It’s best to use original, high-quality charts, graphs, and visual content that actually provides data in an easy-to-read manner. When you include visual demos of your product, breakdowns of how it’s made, and other enticing imagery, you’re activating parts of the brain that written content simply won’t. People will covet your product, need it, and want to purchase it because they can see how it will change their lives. 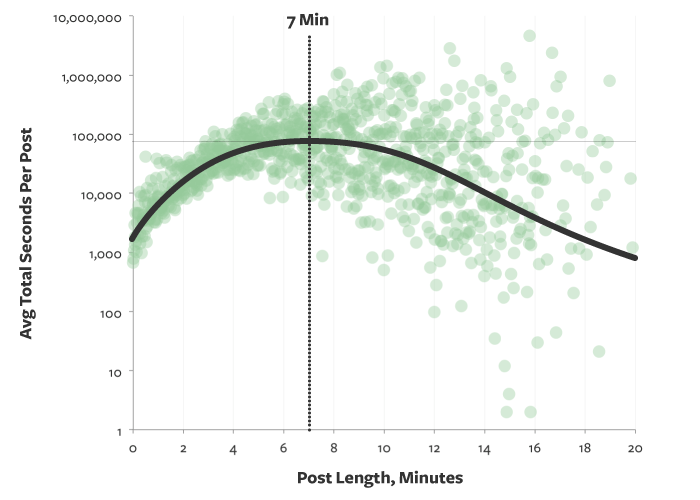 Medium recently published interesting research into the optimal length of blog posts. They scoured the top search results for a wide variety of terms to find out if there’s a correlation between length and popularity. They found the optimal post length is 7 minutes, not a particular word count. Instead of trying to hit a 2,000+ word count post that’s filled with unusable fluff, it’s more important to fill the page with engaging information that someone will spend 7 minutes viewing. Instead of using a lot of words to convey their message, the Medium article uses tons of data-intensive images to drive the point home. Even time spent reading comments or commenting on a blog post is great, as it shows reader engagement. 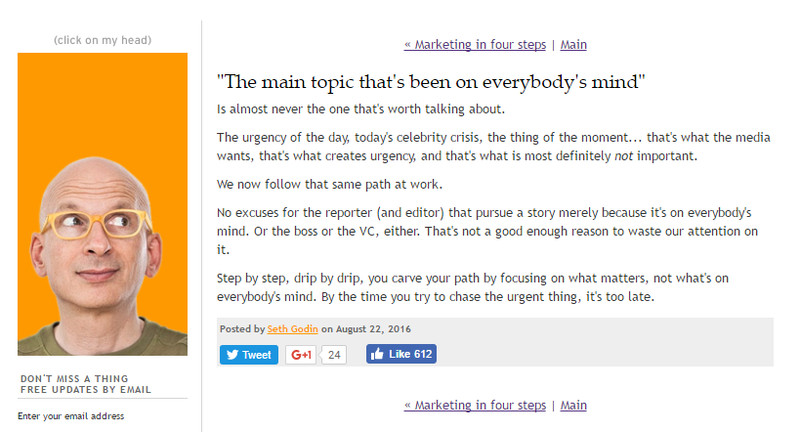 Some bloggers like Seth Godin have blog posts under 250 words. My point is that anyone who forces a specific word count is misguided. Stop focusing on your blogs hitting 1500-2000 words and instead provide valuable information in your blogs to be more effective. The Internet was built as a way for people to connect and share information. All of the knowledge you have was derived from somewhere, so don’t be afraid to share other sources of information. As you know, link-building is the process of building links to and from your website to make it a more substantial part of the web, increasing web results. 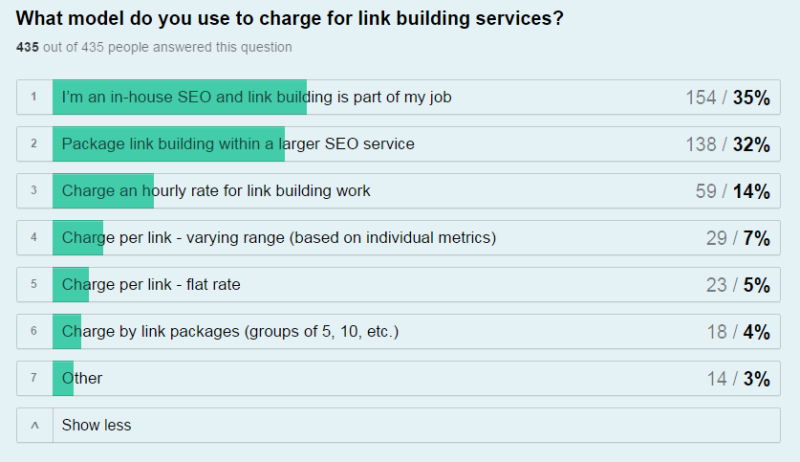 A recent survey of businesses found it’s most often part of an SEO strategy because of this. Building links into your blog content is your way of setting someone free to show you love them. They’re more than welcome to check out other valuable resources, and you’re happy to be just another link in the chain. A reader may not buy something from you immediately, but they’ll recognize your brand the next time they come across it and be that much more likely to purchase from you during that next visit. The most important advice I have for any blogger is to be yourself. Let your personality shine through. You’re not selling your brand, business, or products in your blog posts; you’re selling yourself. You want people to relate to you and form an emotional connection. 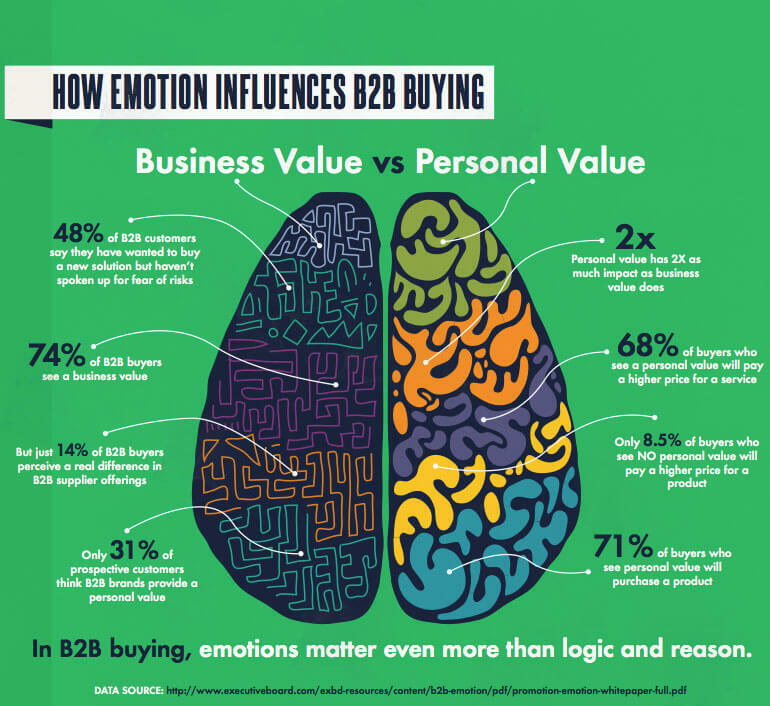 Research shows that even B2B customers are more likely to make a purchase based on personal emotion than logic or reasoning. Instead of hard-selling your wares, soft sell your skills at research, completing projects, and forming educated opinions. Show off your ability to reduce complicated subjects down to simple conversations and teach people how to follow your lead. This is a far better fit for the top of the sales funnel, as it introduces people to you as the subject matter expert who can help with all of their most pressing problems. I keep beating sales funnel like a dead horse, because it’s important to visualize. 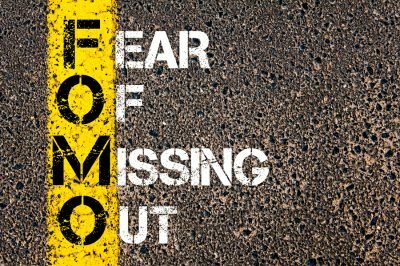 It’s easy to get caught up in your blogging initiative’s ROI and start trying to push for more salesy calls to action, but this is a grave mistake. Blogging delivers prospects, cultivates relationships, and positions you as a valuable addition, but you don’t need to close on a blog itself. 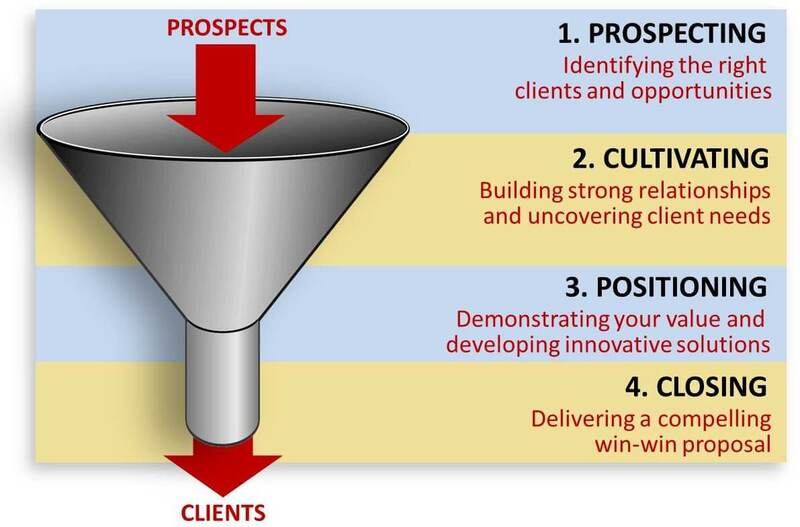 You’re just leading people through the funnel. When a reader is ready to do business with you, he or she will contact you via email, leave a comment on a blog post, or simply make a purchase using one of your online checkout options. Although a blog can be a part of an ecommerce site, it’s important not to think of it as ecommerce. Your ecommerce pages are the ones with shopping carts and product offerings. Your blog is a place to display knowledge. Think of it as the TV sitcom instead of the commercials interrupting it. People may remember jingles and marketing slogans from commercials, but overall we prefer the actual program over the sponsored ads. If you want your blog posts to be taken seriously and provide the real ROI they have the potential to, then you can not be salesy in them. While you should avoid sales pitches in the blog itself, it’s perfectly acceptable to be a little self-promotional in the comments of your blogs, especially when responding to questions. 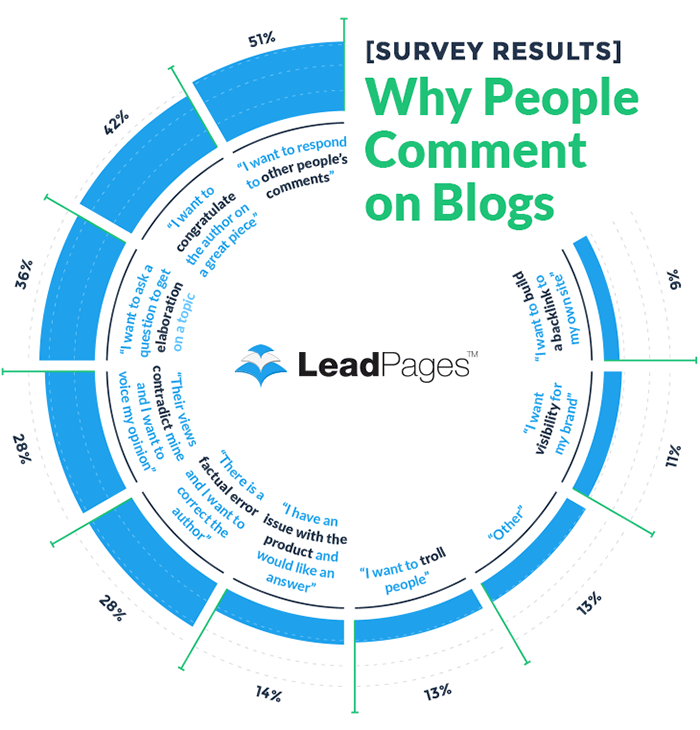 Over one-third of people commenting on blogs do so because they want elaboration on a topic. This is a great opportunity for you to refer them to an ecommerce page on your site. However, as Matt Cutts (former head of the webspam team at Google) points out, you should use your own name when commenting on blogs, even your own. 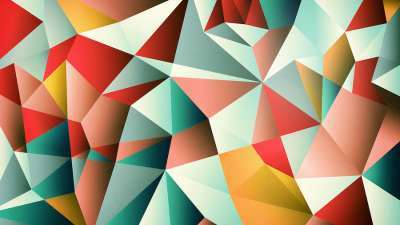 A response from a company is seen as less personal and won’t be as well received. Even if you don’t directly sell someone in the comments, it’s a warm lead that you can point your sales department to. These are people who are clearly interested in your industry or niche and may soon convert into paying customers. You shouldn’t have to give your contact information in the comments of your blog posts, however, as it should already be displayed on your page. A Contact page is one of the vital components of a website and is included in nearly every web template for WordPress, Joomla and other platforms. If you’re reading this, I assume you already know how important a contact page is and what it looks like, but here’s an example anyway. When people contact you via phone, email, or social media, feel free to treat them as your sales prospects. These are people contacting your business because they’re further down the sales funnel and closer to making an actual purchase. 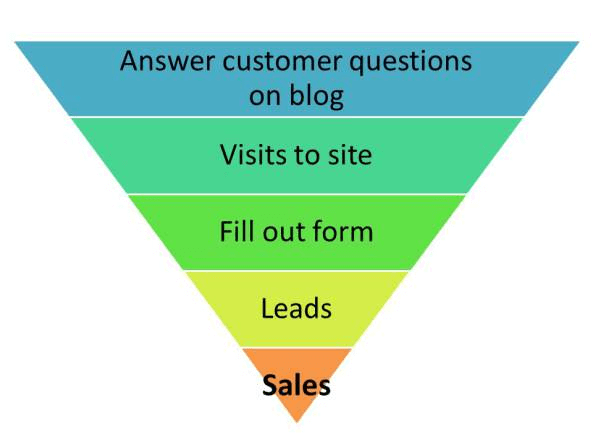 Focusing sales efforts on these points of entry is much more efficient than attempting direct sales through a blog. The blog is simply a way to gain exposure for your brand while filling your website with SEO-friendly content. Each blog post is just one introductory landing page. Real sales are still coming from the same channels they always were. Blogging is one of the most successful forms of both content marketing and online marketing. Each blog post draws traffic for long tail keywords related to your niche, but they’re just introductions to your business. You won’t see many direct sales coming from blogging efforts, but that’s not their purpose. They’re meant to establish you as a trusted resource people can do sustainable business with. Instead of trying to directly sell within your blog posts, focus on providing valuable content that encourages people to remember, share, and come back for more. At this stage in the sales funnel, they’re simply doing research to learn more about the purchase decision. If you provide the information people are looking for, they’ll eventually return to you when they’re ready. Your sales team can take care of them at that point. Until then, focus on providing as much valuable content as you can in order to gain the highest return on your blogging investment. What blogging techniques do you use to increase traffic without being too salesy?